Reserva directamente en nuestra página: ¡10% de descuento & sin cuotas de reserva! ¡RESERVA YA! ¡10% de descuento & sin cuotas de reserva! ¡RESERVA YA! It’s all fun and games in Amsterdam, the city offers so much attractions and excitement. Most of us stay way longer than expected. Downfall of that is that our traveling funds can run out quickly and as my uncle Les used to say: “When the money is gone, it’s time to move on”, or is it? If you are feeling lucky, maybe one spin of a roulette wheel or couple of Blackjacks will be enough to extend your stay. It’s all in the cards. Gambling has more than one face. In this paragraph we are going to focus on games of luck. When it comes to these, the city is literally overflowing. Walk out of the Dutchies and you don’t need more than a minute to find the first one-armed bandit. Most of the bars and sometimes even a soul food restaurant will have one or a couple in the corner. The closer we get to the centre of Amsterdam, the more places we find that are proudly naming themselves casinos. Flashy lights and big fonts that are informing you that perhaps you are the one who is going to win. These are hard to miss and pretty obnoxious if you ask me. To participate in the rich variety of slot machines, blackjack and roulette tables you need to be above 18 years old and have at least 10 euro to your name, as this is the minimal bet in most cases. These places usually don’t have a dress code and most of them are open up until midnight. After entering the casino, it is all between you and the universe. We wish you good luck, as we would like to see more of you in the hostel, but it’s worth realising that the only true winners in this type of gambling are the machine owners. There are also gambling games based on skill. To those we count Blackjack, Russian poker and the king of them all – poker. The last one is a game of skill played in a randomised environment of cards. The skill part comes from the fact that you play against other people. It is totally up to you to develop a better strategy, give less information and balance your ranges. The gambling part only comes from the fact that you have no influence over the cards that are going to hit the table and that gives a spark of hope to everybody taking a seat on the felt. Your mind is probably imagining a vividly coloured room, where free drinks are being poured all night, delicious food can be found on some tables and where no clocks can be found. For some a safe haven that is open 24 hours a day, just in Las Vegas. Right? Well, you can toss that image out of your head. Welcome to the Netherlands. Here there are limits. There are in total 8 locations where you can legally play poker, namely the Holland Casino. One of their locations is at the Leidseplein in Amsterdam. The poker tables are opened each day from 8PM to 3 AM. Which gives us the most befuddling conclusion – one of the few branches of business that can make money 24/7 is being closed every night, just as the action heats up and pots get bigger. Not the smartest idea, but then again – I don’t work for the government. So, what to wear when going to a casino? Well I can tell you what not to wear. Shorts and sweat pants are for sure a no-go. Better not to ask how I know this… Nevertheless, I really recommend to go and take a look. The inside of the casino is a charm itself. The space is overwhelming. The ceiling is at least 10 meters high and this part actually resembles what you could expect in Vegas quite a bit. 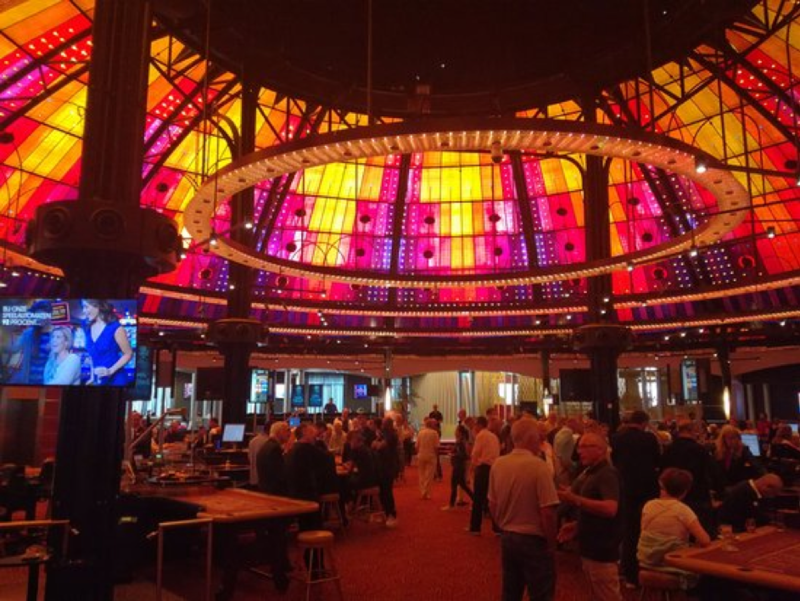 In the casino you’ll find a well-equipped bar and a Rembrandt themed high-end restaurant right next to the tables that is constantly buzzing action. As an aspiring poker player, you will have a choice of cash games with blinds ranging from 2/2 to 5/10/straddle in two poker types – No limit Hold’em and Pot limit Omaha. On the small stakes tables the atmosphere is always casual. There are a lot of people who just came to have some fun and drink beers. It is not uncommon that other players will offer you a drink. Turns out people that perceivably have won money tend to be very generous. In that atmosphere, dense with ethanol, free of cigarette smoke and full of friendly banter, time flies. Usually it will last as long as your money or your luck will last. However, you have to remember that with a cash game you can quit at any time. In that magical place, only some of the workers will remind you that this is a government establishment. Some of them, will look like it is a punishment for them to be there, don’t mind that and try to make their equivalent of jail time as pleasant as possible. A good joke never hurt nobody. Last but definitely not least, if you are planning on visiting the casino: here is some advice. If you don’t know much about poker, it is much better to be selective with the hands that you play, but then the ones that you decide to play – do it aggressively. Counter intuitively: you need a stronger hand to call than to raise. If someone checks back their cards and quickly says all-in, happily pushing the chips towards the middle pot – just fold. And the most important one, if you cannot afford to lose that money you put on the table, don’t play. Poker shouldn’t be about stress. So, whether you are looking to meet some new, exciting people, boost your bankroll to extend your stay in Amsterdam, visit one of the best restaurants with a great view over the canals or observe a real live game of dwarf sized chess pieces – it is a great idea to visit the casino. Want to visit the Casino? In the lobby of Dutchies we’ll have some great discount-cards. One of those cards gives you free entrance + one drink at the casino. I will always recommend the skill games, for the sake of interacting with others and the winning chances not being skewed against you, but if you are feeling really lucky even a slot machine will do. In any case, please remember to gamble responsibly. Amsterdam is one of Europe’s most beautiful and old city. It doesn’t matter what season you visit Amsterdam, there are always things to do. The first flowers peeking through the snow in March were crocuses, daffodils and hyacinths. While we cannot deny their beauty, the popular symbol of the Netherlands is the tulip. They are available in a whole array of colours, and they start to show their beauty in mid-April through to first week of May. This is the time of the year that you can discover fields of flowers looking like seas of colours. We recommend visiting the Keukenhof or take a bike ride through one of the many flower fields around. We Dutchies love sun. As soon as the sun is shining and it’s above 18 degrees, we leave our jackets home and put on our skirts or dresses. We try to enjoy as many terraces as possible and take in as much sunlight as possible. Because before you know it, the sun is gone. 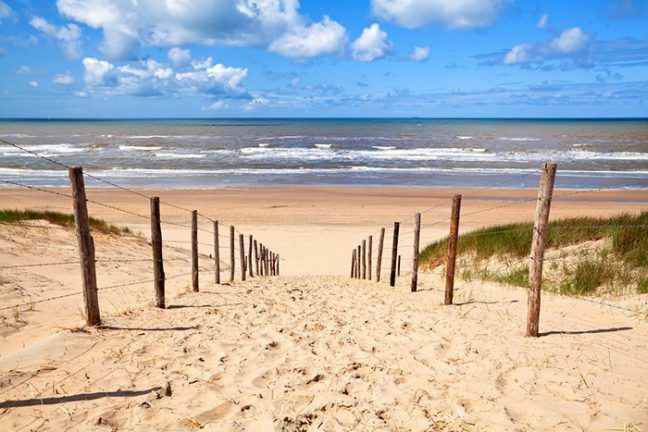 If you have a free day and the weather is warm and sunny, go to the beach.The closest beach to Amsterdam is Zandvoort aan Zee. Take the train from Station Sloterdijk and 30 minutes later you have arrived at the beach. Take a seat on one of the terraces at the beach and order an amazing cocktail, a nice glass of wine or a beer, eat some nachos or bitterballen and enjoy the sun! 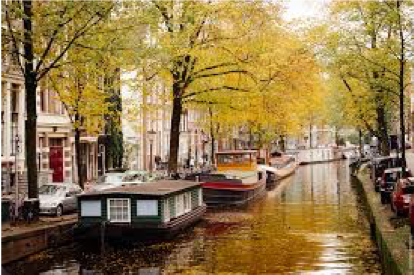 Everybody will fall in love with Amsterdam, when the leaves on the trees turn orange, yellow and gold. Amsterdam turns into a magical city. It’s like you stepped into one of those old romantic movies. Without a doubt some magical moments will be created. Go take a stroll through the Amsterdamse Bos or through one of the many parks. Not fond of walking? Take a seat in one of the cosy cafés, and drink a beer or maybe a red wine. Winter brings us ice-skating and snowball fights. When the temperature drops below 0 degrees Celsius, the canals will freeze. Just imagine all those beautiful canals in Amsterdam, frozen and filled with people. Little shops appear on the ice with glühwein (mulled wine), hot chocolate with optional rum and poffertjes (Dutch Mini Pancakes). Everybody goes skating. Blog 19: Dutchies Hostel – What to do after Amsterdam? Visit Warsaw! Warsaw, the capital of Poland, is an absolutely unique European city. The biggest Polish metropoly has more to offer than you could ever imagine! This is a vibrant city where young study and party, experts make careers, artist create and perform. Risen from ashes, now Warsaw is becoming a financial hub with numerous skyscrapers and even more being built, including the highest skyscraper in the European Union. 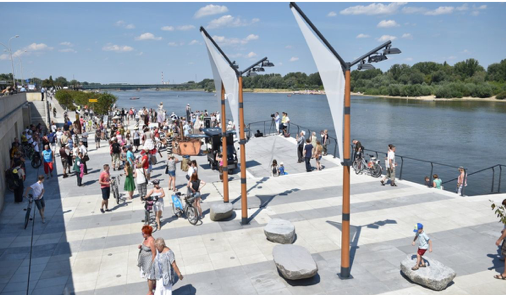 At the same time, the city is beautifully situated by the Wisła River. Both wild and planned parks along the river contribute to spectacular panorama of the city, especially when the sun goes down. Warsaw is a place where the heart of Poland is beating. 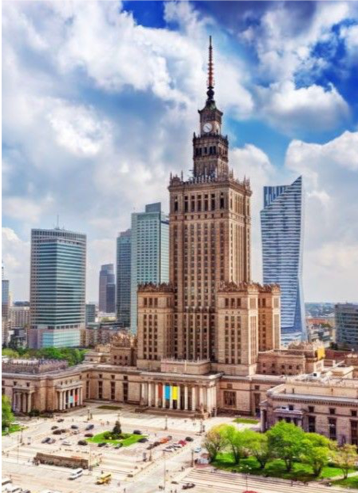 Thanks to its unbelievable history, Warsaw is an unexceptional mix of tradition and modernism. You will see it walking along streets, seeing a blend of architecture styles, a diversity of local shops and cafes. Understanding the rich and complicated history of the city is possible thanks to plenty of museums that it offers, including The Warsaw Upising Museum or POLIN – Museum of the History of Polish Jews. But Warsaw is not only about history – it’s a place where innovations are born, where creative people build a new image of the city. In Warsaw there is a variety of events for everyone – youngsters, hipsters, children, artists and more. It’s a big city and every district has its spirit and places worth visiting. If you look for tradition, the best choice will be Śródmieście and the Old Town with colorful tenements. If you’re interested in some experience out of the beaten path, you should try Praga Północ with a lot of alternative cafes and specific architecture. Another vivid area in Warsaw is a riverside – perfect place to relax, eat delicious polish food or party in the evening. It’s full of colorful, young people who create an atmosphere of the place. Summer in Amsterdam. Hurry, it’s over before you know it. Summer in Amsterdam only takes 3 months: June, July and August. What can you do in the Summer in Amsterdam? Go shopping, visit Museums, take a sightseeing tour or … go to a festival! Enjoy the sun take an (expensive) beer and listen to the music. There are hundreds of festivals in the Summer. Don’t know where to go? Take a look at the following list. It, hopefully, makes it bit easier. 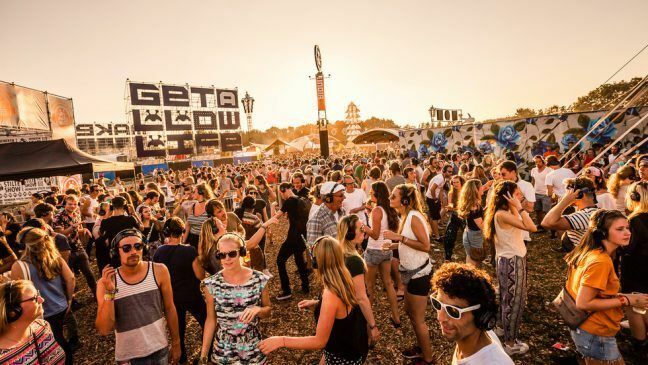 You can also go to any of these festivals in the Westerpark. It’s only a 10 minute bikeride from Dutchies Hostel. And last but now least do not forget the Canal Parade. The biggest event to celebrate freedom, diversity and equal rights in the Netherlands. It has a spectacular boat parade on the Canals of Amsterdam. More than 80 decorated boats with music will give you a day to remember. We recommend to take a look on Festival Info for more information about all the festivals in the Netherlands. Although it’s not summer yet, we do have the feeling that it already arrived. Because it’s been, for Dutch standards, really hot these last few weeks. As soon as the sun is shining and it’s above 18 degrees, we leave our jackets home and put on our skirts or dresses. We try to enjoy as many terraces as possible and take in as much sunlight as possible. Because before you know it, the sun is gone. So back to the weather. Since 1889 we have been keeping score of our heat records, cold records and our warmest and coldest averages. This has been done per day, month and year. Lately we have had a lot of new records. Probably because of the climate change.. We do like our new records, but we also like our environment and our country! When the climate changes to much, the Netherlands will definitely be flooded. So this May we will set a new record for sure! Although the month isn’t over yet, we expect to have an average of 16,5 to 16,8 degrees Celsius (around 62 Fahrenheit). It’s the warmest May ever measured in the Netherlands. Just for your information, normally the average temperature in May is around 13,1 degrees Celsius and in June 15,6 degrees Celsius. Like I said before, we Dutchies love soaking in the sun. This last month has been a blessing for us. Even the beaches have been occupied like crazy. The water isn’t the best temperature yet, but that doesn’t withhold a real Dutchie. 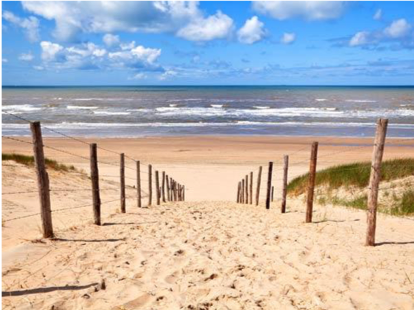 The closest beach to Amsterdam is Zandvoort aan Zee. Take the train from Station Sloterdijk and 30 minutes later you have arrived at the beach. If you have a free day and the weather is warm and sunny, visit the beach. Take a seat on one of the terraces at the beach and order an amazing cocktail, a nice glass of wine or a beer, eat some nachos and enjoy the sun! The spring has finally arrived in Amsterdam! I think most of us can agree that we were all fed up with the very cold winter this year, as “beast from the east” has brought us chilling winds and blizzards. It was really unpleasant in our city, but, at least we got to experience the frozen canals for the first time in years. Having that said, I want to present you with the signs that the cold days are finally over: blooming flowers everywhere! The first flowers peeking through the snow in March were crocuses, daffodils and hyacinths. While we cannot deny their beauty, the popular symbol of the Netherlands is the tulip. They are available in a whole array of colors, and they start to show their beauty in mid April through to first week of May. This is the time of the year that you can discover fields of flowers looking like seas of colors. The tulip season draws attention to many tourists across the world, because people want to see nature in full-blown colors. From April 21 until May 6 there is tulip festival taking place across Flevoland, which promotes this beautiful flower and makes it easier for people to experience it. If you have a car, then you definitely have to make a trip northeast of Amsterdam to Noordoostpolder in Flevoland region. The authorities have prepared a 100km-long route accompanied with signs and information which lets you make a joyride along all the tulip fields. If you’re not convinced yet then, let me remind you, that you can only see those flowers for couple of weeks each year, and National Geographic has put this route on its 2009 list of most beautiful road trips in the world. If you do not have a car, don’t worry, because you can still enjoy the views on your bicycle! There’s a smaller, “garden route”, that spans for 19 km and it involves 3 tulip fields. My suggestion for a lovely day-trip would be to take a train from Amsterdam to the small town called Emmelord and from there just explore on your bicycle around the tulip fields. However, if you prefer something that sounds more like an organized trip, the Keukenhof garden would be more practical for you. While you don’t get to see the vast fields of flowers, you can enjoy the most beautiful flower garden in the world. 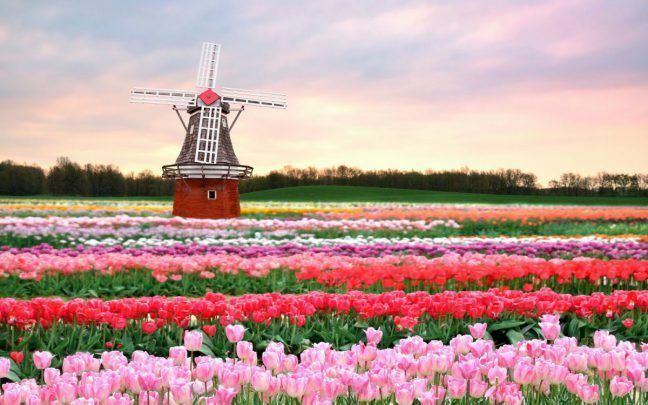 It has 7 million tulips bulbs planted every year! That’s quite a lot for a park, if you ask me! You can also reach the garden in 30 minutes from Amsterdam, so that’s definitely something you cannot miss, if you don’t plan on making a full-day trip to see the fields. So, if you are visiting us from mid April, you know what to do! It is truly a rare and unique sight. If you will need transport tickets or you would need to rent a bike for the whole-day trip, we can also help you out with it! We hope to see you soon! Blog 15: Dutchies Hostel – Why not try a wheelie? The Dutch are well known for their two-wheeler culture. Bike usage in Amsterdam has rised 40% in the past 20 years. Moped numbers increased by almost 60 percent. Currently 1 in 25 Dutch adults owns a scooter, compared to 1 in 38 in 2000. Combined, Amsterdammers cover a distance of two million kilometres every day! Sometimes, even on one wheel! The first thing is to grab the handle tightly. Now you need to twist the throttle quickly so as to give it the initial lift. As you’re doing this, just pull the bike up with the handle. Make sure that you don’t pull it much at the first time or you might tend to pull it too up. 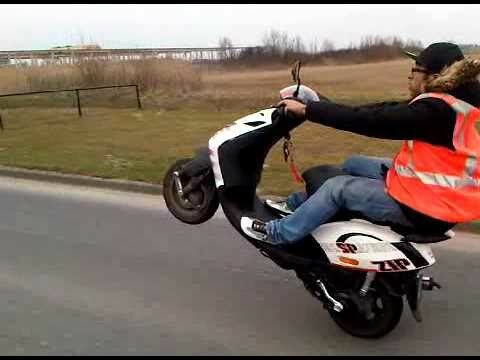 If you get the scooter or bike too up, just make sure to apply the back brake. The scooter will come down abruptly so beware of that. My advice to you would be to take it slow. Don’t try to get the bike all the way up in your first try, its more important to get the feel of it. Practice will help you get the bike up more easily and safely. For inspiration look at this 10 minute video preformed by the „Amsterdam Achterwiel“. Want to give it a try? Or just want to bike through Amsterdam without performing wheelies. You can at Dutchies. You can rent a bike with us for €12,50 per day. Amsterdam is a city with a lot to offer. Whether you want to go shopping, enjoy great food or want to visit a museum, you will have a lot of options. For the latter you can visit the Museumkwartier (Museum quarter), an area in the ‘old’ South of Amsterdam. The biggest museum of the four is the Rijksmuseum. In this museum you will find one of the most famous Dutch paintings: De Nachtwacht (the Nightwatch) by Dutch artist Rembrandt van Rijn. If you are into the more classical 17th century, renaissance style art you should definitely visit this place. Not only are the artworks inside worth your while, the outside is a sight to see as well. Built in the 19th century, this building is an iconic location in Amsterdam. Close by you will find a museum with most of the artworks from probably the most iconic (Dutch) painter of all time, Vincent van Gogh. The Van Gogh museum is a great place to visit. Even if you are not that much into art, you can’t help but to be impressed with the amazing work Van Gogh has created. Not only will you view the art, you will also learn more about the man behind the art. Next to the Van Gogh Museum there is the Stedelijk Museum, a modern art museum. One of the best thing about this one is the big variety they offer, which is more than logical considering how much variety modern art has. With artists like Roy Lichtenstein, Piet Mondriaan, Gerrit Rietveld, Kazimir Malevich and many more the museum has an impressive collection. My personal favourite art style is hands down Pop Art. Unfortunately for me, there is not a museum that has a big collection with one of my favourite Pop Art artist, the iconic Andy Warhol. But luckily for me there is the Moco Museum. They have a nice Banksy collection and currently there is a Roy Lichtenstein exhibition. The latter happens to be my favourite artist. The museum itself is not that big, so they have a very limited collection and you cannot walk around for hours, like you could with the other museums. But that being said, it is worth a visit. 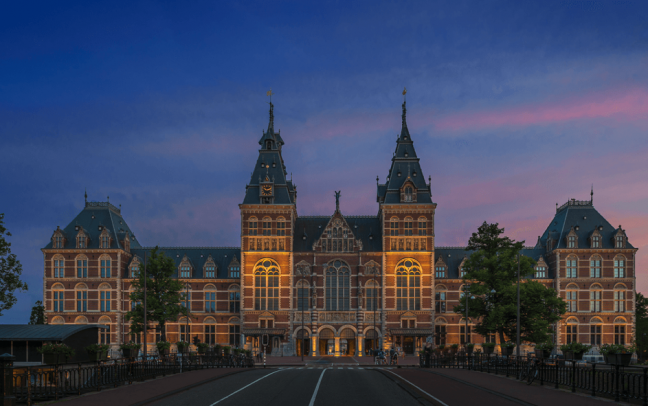 I would say that these are the most popular museums in Amsterdam. Aside from these there a lot of other nice museums to visit, but you will have to wait for part 2 to find out. The water, the eternal enemy of the Netherlands, but when the water has changed into ice, it is less dangerous. With ice-skating, the Netherlands celebrates a temporary victory over the water. For the Dutch ice-skating is folk culture. Something is folk culture when suddenly it becomes very important, when it is difficult to explain to foreigners, when it is widely supported and does not attract anything of hierarchy or regional differences. Ice-skating is popular entertainment that lives in almost all provinces and appeals to everyone – young and old, poor and rich. The skate is perhaps an even greater cultural aspect than the bicycle in the Netherlands. Everybody is equal on ice, even in places where the pool is closed on Sundays, the skating rink often is open. Most Dutch people learn ice-skating when they are very young. For example, me myself went ice-skating once a week every winter in Amsterdam at the Jaap Eden IJsbaan from age 6 to 10. The ice-skating rink has been named after Jaap Eden. He was one of the best skaters in the 19th and 20th century. He’s been the world champion for the allround three times. But this is nothing compared to our new champion: Sven Kramer. He has won almost 200 golden medals these past few years with the Olympics, World Champions, European Champions, et al. And we should not forget about our women either, for example: Ireen Wüst and Jorien ter Mors. Both successful ice-skaters. 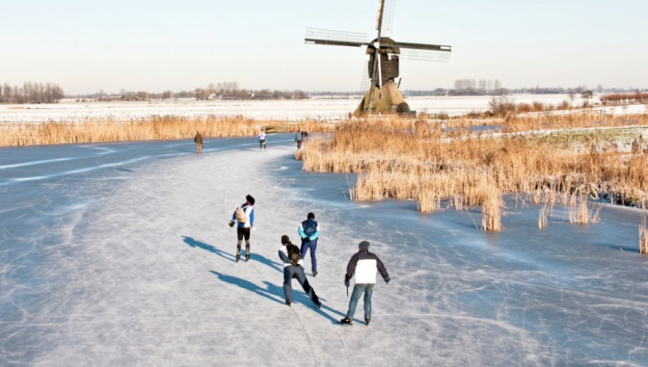 When temperature goes below 0 degrees Celsius, almost every Dutch person will get “ice-skating fever”. Because when the canals, rivers and seas are frozen, the ice-skating will shift from the rink to the natural ice. As soon as the rivers “look” frozen, we will try out the ice, especially the kids. It happens quite a lot that the ice, unfortunately, isn’t thick enough… which means that the kids will fall through it. Not to worry, most of the time they are quite all right. When the ice is thick enough, we can start trying out the ice. Schools will close for the day, kids have ice-free. Adults take the day off from work. 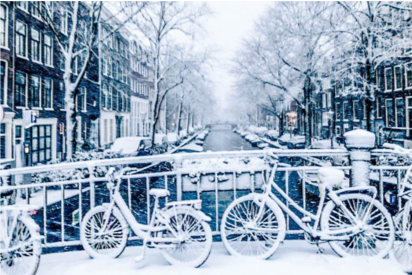 Think about all the beautiful canals in Amsterdam, frozen and filled with people. Little shops appear on the ice with glühwein (mulled wine), hot chocolate with optional rum and poffertjes (Dutch Mini Pancakes). Everybody goes skating. The news, talk shows and social media, everybody is talking about ice-skating. They are discussing whether or not we can have an ice-skating race on natural ice, called the “Elfstedentocht”. It’s an ice-skating tour that goes through eleven cities. The last time we were able to do the tour was in January 1997. Unfortunately, global warming isn’t helping our ice-skating fever. But who knows, maybe 2018 will be our year. Shortly after stepping out of the bus in Amsterdam a couple of things started to stand out. The architecture, people’s willingness to help, their ability to communicate in English, their bluntness and nightly opening hours and the visible patterns in randomness. Today we will focus on the first one. The Dutch need to combine water canals with all sorts of structures and they let themselves put art and creativity into that. Where engineering meets art, are the Netherlands. Architecture has many great examples of that. Let’s take a walk through the city and do the breakdown. We start in the Centraal Station, a building put to use in 1889 that overwhelms you with its size and detail in a Gothic and Renaissance combination. Imagining that this is only the second biggest train station in the country is hard. Its neighbours: the library, the concert hall, 3-storey Chinese restaurant and the Nemo centre of science, that looks like a whale proudly caught in the moment when above the water level. All those buildings are amazing in a way, present bald solutions and show how dynamically this city is growing. When you walk down south looking for that historical landmarks you walk past typical Amsterdam canal houses. One tightly glued to another like some sort of a puzzle. Facades range from angel white to stealth black, vary in gabs from those often hang pulling hooks and some houses are even crooked. The hook is a necessity because of the staircases, that are frighteningly steep and narrow. To me it screams that returning home wasted here is not popular. Big windows however, combined with the hook, let you furnish your home freely. The size of the windows creates at least two effects. Firstly, it’s hard to put a radiator under it, which then causes heating airflow problems and secondly you can look into most houses with ease. The latter is a long-lasting port city tradition. Curtains here are rare. Privacy seems to be coming from mutual respect. You get through the city passing by a mixture of all influences, a combination of cultures and you get to Museumplein. The area where most important of museums are in close proximity. It’s very well thought out, if you ask me. 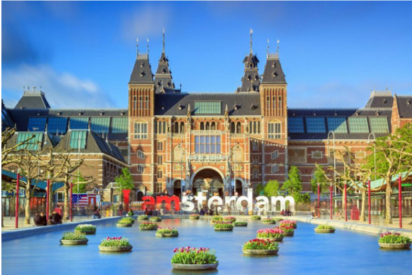 The magnitude of the Rijksmuseum, the biggest museum in the country, the charming simplicity of the Heineken museum, leading designer thought in Stedelijkmuseum or simple yet world famous the I AM AMSTERDAM letters all can be found there. If your brain gets overworked there’s Vondelpark awaiting nearby to give you space to reboot. In the summer, it’s crowded but it still retains the chill atmosphere and even hosts free to donate concerts. When walking south some more the first sky scrapers start to appear. From World Trade Centre, through Mondrian tower (125m) to the highest Rembrandt tower (150m) there is seven constructions breaking the arbitrarily magical 100 meters. It feels like good chunk of the world might be run from here. Traveling further that direction entertainment giants Amsterdam Arena and Ziggo Dome dominate the landscape. Moving now to the west side we encounter a delicate balance between old type Dutch terraced houses and a developer’s creative race manifesting itself in new (especially tall) constructions. It’s impossible to find two newly raised living buildings that are alike. Some of them had this great idea to create multi storey buildings with separate entrances for people living on the ground floor. The value of such apartment then raises in relation to other, while it’s much more convenient for the owner. I myself live in an 8x terraced house, a new type of Dutch standard where blue doors are accompanied by same size window. That window is especially useful when the post leaves your package at your neighbours, which in here is a second checkbox on the delivery form. Slotermeer park where another set of I AM AMSTERDAM letters are (the so-called ‘travelling letters’), this time turned into an outdoor calisthenics training field, guide us north towards the Sloterdijk station. In contrast to the central, this station is an epitome of the future. Trains leaving this station appear to be levitating on seemingly freestanding platforms and railroads. Big light bulb heart displaying flags of all countries enlightens bike stands wrapping around the station. All the way to here, bike tracks were smartly entwined into the landscape. Nested in between universities, hotels, corporations and even the behemoth of the tax office – the station means we are close. Just a quick walk and we arrive at the Dutchies. You’re home. Out of all examples where creativity and art are incorporated into architecture here, the most puzzling one is just a rock throw away. Under the bridge created for the highway, there seems to be a well-lit, colourful oasis caged away by steel bars. Ever since I first found Dutchies I asked myself (and many others) what is the purpose of this? Let’s contemplate this together. 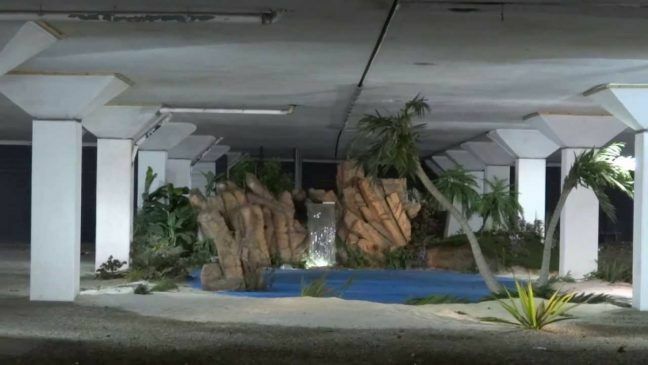 Maybe it’s a reflection of nature, because under the bridge and an oases rain rarely falls. Maybe it’s a metaphor for a tropic island and the bars represent toughness of the ocean that you have to beat to get there. Maybe it represents striving for a stressless tropical life, unattainable for most. Maybe it represents vacation after you have no more leave days. Maybe it is art installation of a fatamorgana, because both can only be observed, but never experienced. And finally, maybe we should take physical approach of Occam’s razor and assume only it’s there because someone put it there. Whatever the reason, it makes you wonder. That thoughtful, artistic installation, that small touch perfectly represents the freedom and baldness of architectural solutions in this city. They say Amsterdam is a state of mind. Maybe it is true. Taking a stroll like above and seeing the imprint of different generations on the style makes you wonder. How engineering thought is priceless and how subtle art creates exciting dynamic in otherwise mundane places. Everyone finds something that takes their imagination for a ride. Enjoy discovering Amsterdam, and let me know what you found the craziest! Funciona con WordPress | Tema: Edin por WordPress.com. If you book your stay with us directly, we can guarantee that you get the best possible deal.